SBG's massive investments in infrastructure and facilities include a nationwide network of branches, well-appointed showrooms, state-of-the-art parts and service operations and sophisticated warehousing, amongst many others - all aimed at delivering the highest levels of customer satisfaction. And playing an important role in this voyage of excellence is its talented team of Omani employees pursuing rewarding careers in all operational areas. Infact, the Group has taken pioneering strides in the training, motivation and gainful employment of Nationals. About the contest : A selfie contest was conducted by Toyota on the event of Oman motor show'14. 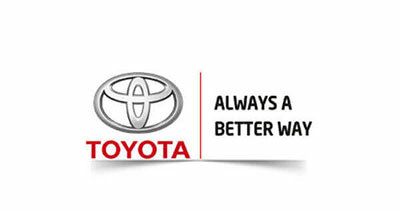 The idea was to increase the footfall on Toyota pavilion at the motor show. The contest was designed matching the latest trend of clicking selfies. A dedicated interactive application was developed, built in with Facebook API on the Toyota Oman Page. Oman's urban & sub-urban spreads. Development of an interactive application, built in with Facebook API on the Toyota Oman Page. Encouraging the FB fans and general urban/sub-urban crowd of Oman, to visit Toyota pavilion at Oman Motor Show and participate in the contest. Igniting and maintaining the rigorous engagement and inputs via creative FB posts. Shooting bi-lingual posts to achieve maximum reach engagement. Monitoring the authenticity of entries via application. Maintaining the application data base. An overwhelming response from Toyota page followers. High number of footfall in the Toyota pavilion. Participation from various age groups. Top rank gained in FB page likes and engagement (compared to competitor car brands - Oman). 60% increase in FB fan base. Buzz amongst the urban & sub-urban spreads of Oman.